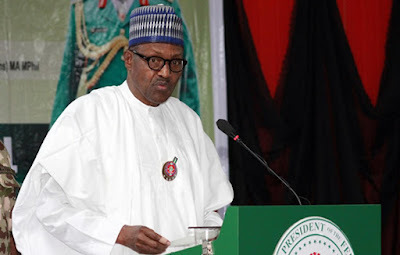 President Muhammadu Buhari on Thursday declared that he would sign the Petroleum Industry Governance Bill into law once the bill was presented to him. Buhari spoke at a lecture to commemorate the 40th anniversary of the National Union of Petroleum and Natural Gas Workers in Abuja. The President said the bill, when signed into law, would address most of the challenges of oil workers. Buhari, who was represented by the Minister of Labour and Employment, Chris Ngige, urged the oil union to support his administration towards ensuring better welfare for workers. He also urged the oil workers to dialogue with government and other employers of labour on issues instead of shutting down the country while in a dispute with their employers. “He (Buhari) is a president that respects the rule of law and the law of the land. He promised to sign the Petroleum Industry Governance Bill once it is brought to him,” Ngige told the workers. In his address, the President of NUPENG, Williams Akporeha, decried the rise of casual workers in oil companies. He said the union would always fight for better working condition of the members. Akporeha said, “There are enormous challenges confronting our union, most especially with regards to the employers, government and the general public perception of our enormous powers, influence and ever constant solidarity. He added that his administration would embark on massive public image polishing and mending relationships with all aggrieved stakeholders.